AFOBIS - » Congratulations to the A3i Graduates of 2015! Congratulations to the A3i Graduates of 2015! After months of intensive work, our twelve graduates for 2015 pitched their ventures in an incredible launch night. 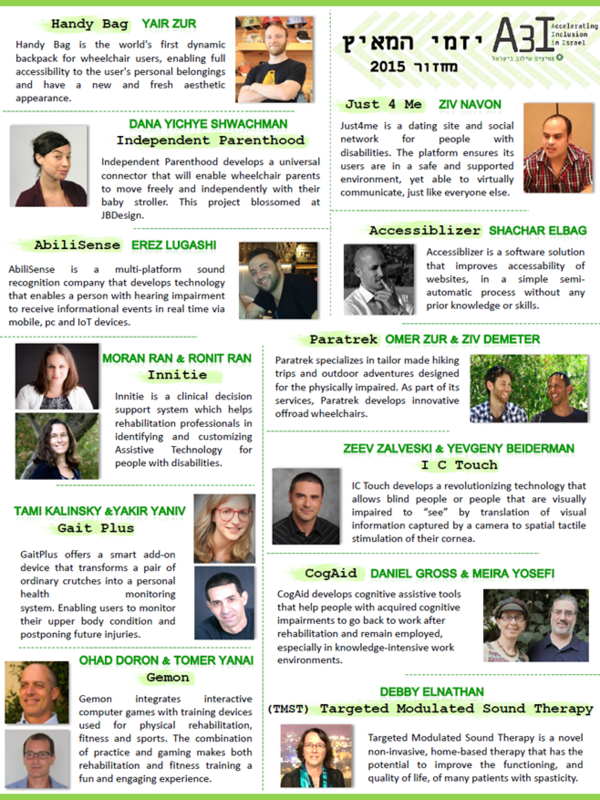 They are the product of the second cohort of the first accelerator in the world dedicated to ventures in the disabilities field, nurturing innovative Israeli hi-tech entrepreneurs, improving the lives of people with disabilities.